Raftra Barn is available all year round. 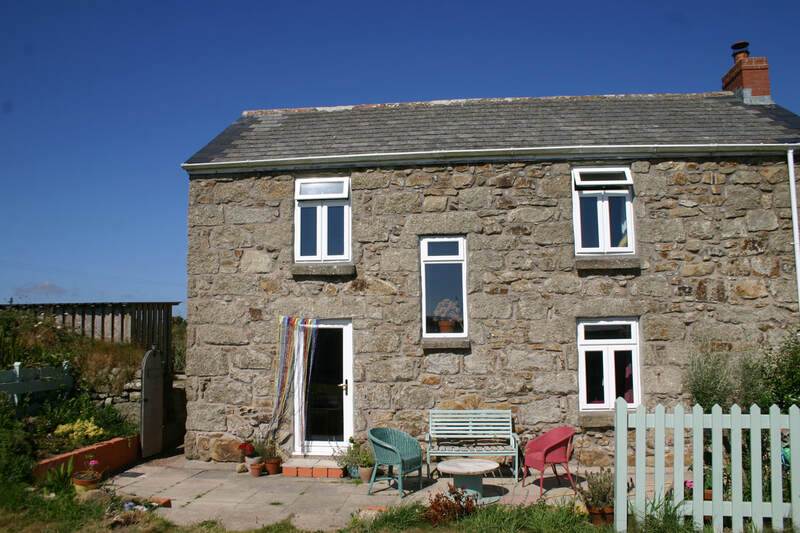 ​A sympathetically converted single storey granite barn conversion, it has an open plan living room with a well equipped kitchen, dining area, comfy seating around a wood-burning stove, TV/DVD, & WiFi. 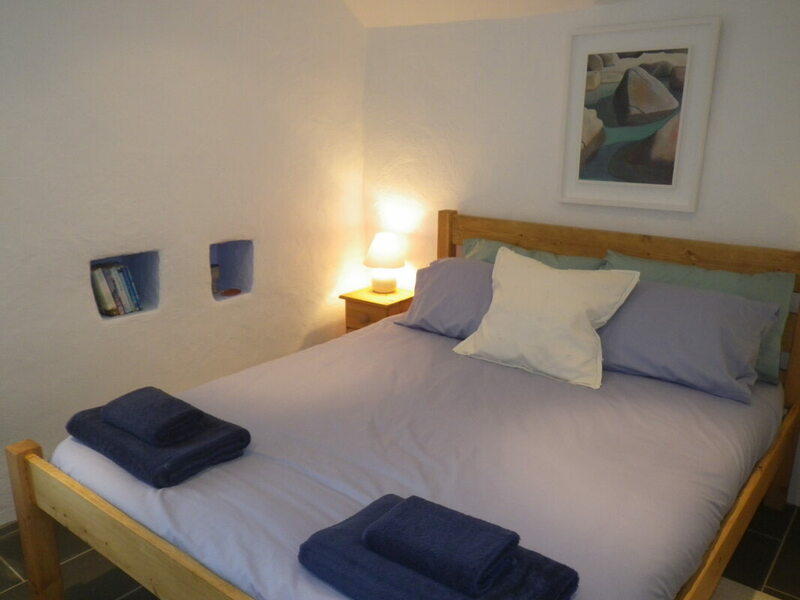 Off the living room is a double bedroom with king size bed, and a large en-suite shower. Sliding glass doors open out into a private, sheltered courtyard garden - a wonderful sun-trap - with BBQ and dining area with sea views. This cottage welcomes well-behaved dogs! Raftra Cottage is available for several months of the year, including the Summer Holidays. It is an old granite cottage with lovely slate floors downstairs (with underfloor heating for those coming at Christmas!) and deep window seats with sea views. 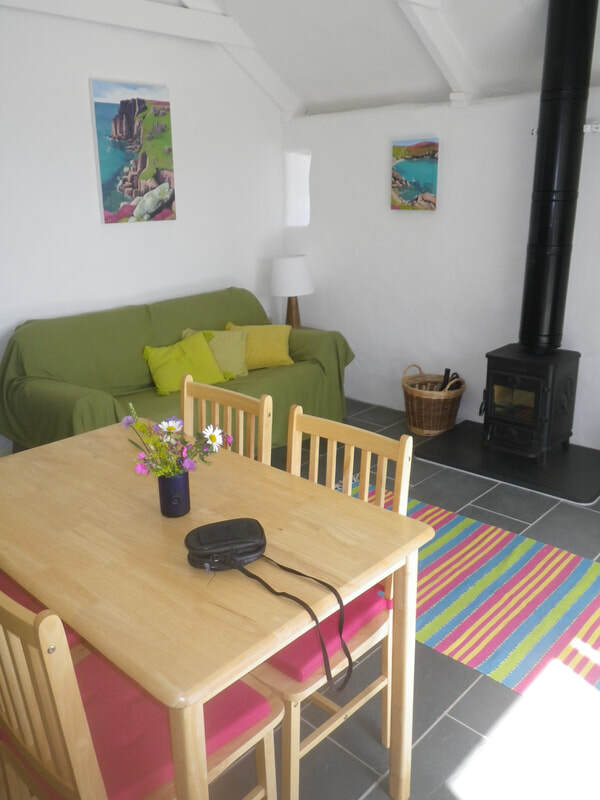 It has an the open plan kitchen diner, very well equipped for self-catering & a separate lounge with wood burning stove, comfy sofas, TV/DVD and WiFi. Upstairs there is a large double bedroom with king size bed, a twin room, and a family bathroom. 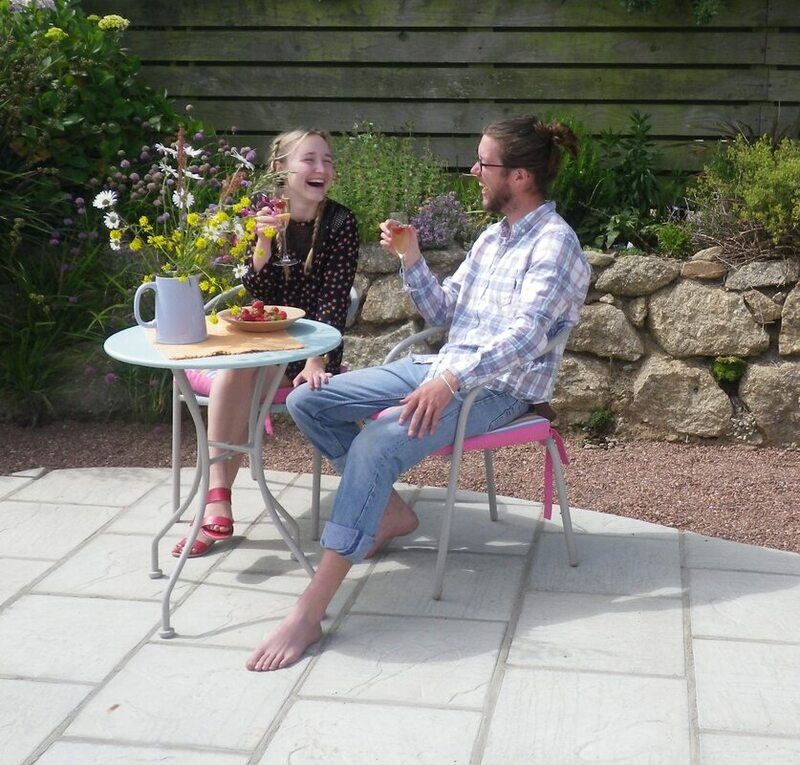 Outside there's a private, sheltered patio for al fresco dining, and a lawned area adjacent to our meadow, with views to the sea. 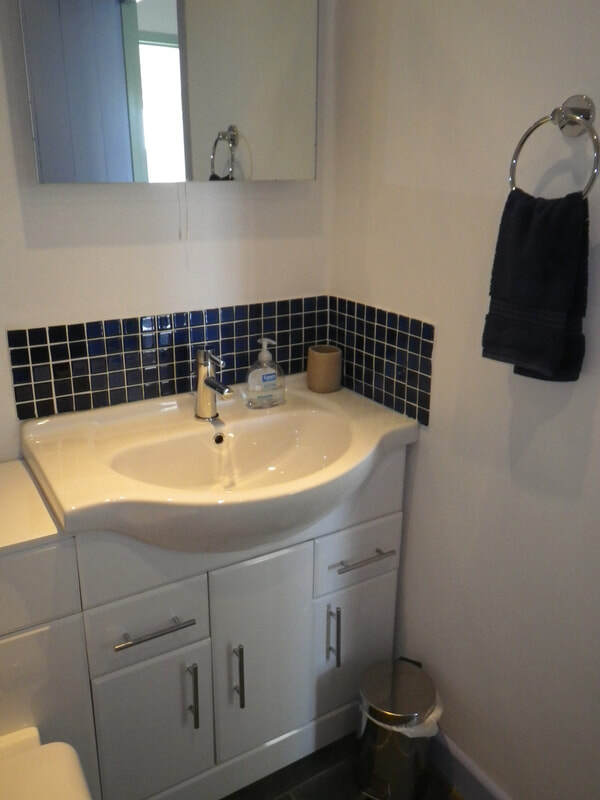 All 3 houses come with bedding and bathroom towels included in the price. They have a good selection of books and DVDs, some games for wet weather days, beach kits which include windbreaks, bats & balls and boules. Beach towels can be hired at extra cost. Kitchens are well equipped for self-catering. Parking available outside each property. There are several footpaths that lead from the hamlet down to the coast & coves, so they are a perfect base for a walking holiday.